NAIA runway to cleared before dawn tomorrow - Hong Kong News - The No. 1 Filipino Newspaper In Hong Kong The MIAA said they now expected to remove the Xiamen Airlines plane that skidded off the runway by 5 a.m. tomorrow instead of by 7 p.m. today. More flights, including Cebu Pacific's 5J-110/111 (Manila-Hong Kong-Manila) flights for Saturday, had been cancelled. The Manila International Airport Authority (MIAA) apologized earlier this evening after it failed to reopen a Ninoy Aquino International Aiport (NAIA) runway whose closure has led to the cancellation of more than 60 flights. 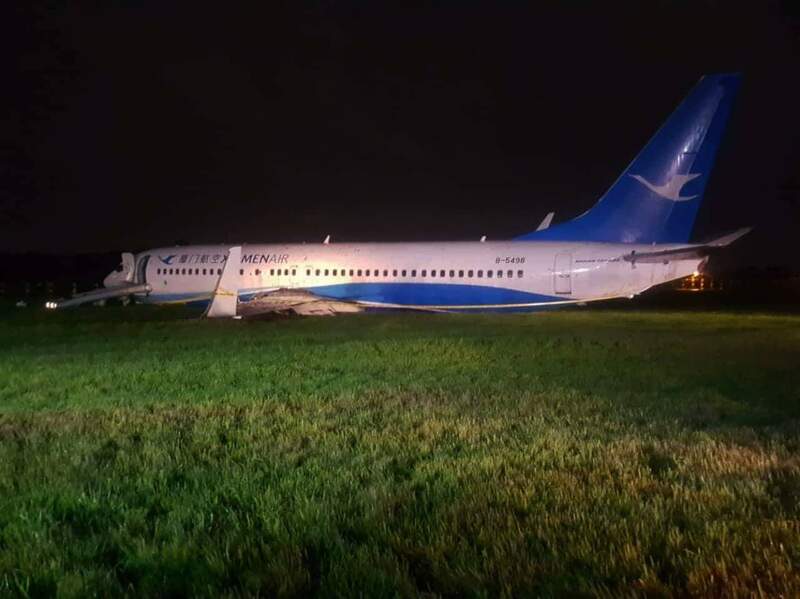 The MIAA said they now expected to remove the Xiamen Airlines plane that skidded off the runway by 5 a.m. tomorrow instead of by 7 p.m. today. More flights, including Cebu Pacific’s 5J-110/111 (Manila-Hong Kong-Manila) flights for Saturday, had been cancelled. “It is with deep regret that runway closure has to be extended until 5 a.m. tomorrow, August 18, 2018,” the MIAA said in a statement. “Recovery operations continue as of press time using two mobile cranes with a joint lifting capacity of more than what is required to lift the 43 tons disabled aircraft,” it added. Among others, soil condition, wind speed and lightning alerts are major considerations during the removal of the aircraft. “We offer no excuses just a promise to bring NAIA flight operations back to normalcy by tomorrow using all our internal resources and if needed, employ outside resources notwithstanding the cost it will entail to MIAA,” Monreal said. MIAA advised passengers of affected flights to closely coordinate with their airlines for announcements. Monreal also sought the support of the airlines to keep their passengers informed about their respective flight schedules.